As technology improves, it is only natural that people want to integrate it into their daily lives. That's where a "smart" homes come in. 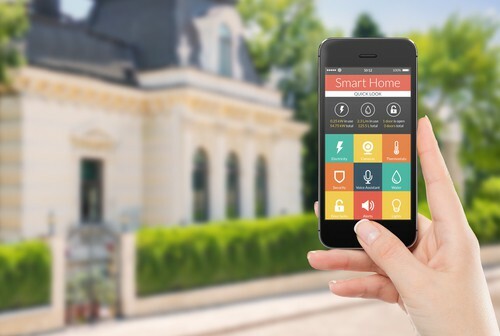 A smart home is a house that can be controlled via your smartphone, tablet, laptop, etc. Many appliances such as refrigerators, thermostats, and even home security equipment can be controlled remotely given the appropriate set up. Ready to get started on making your home smarter? Here is a short guide to help you along your way. Dream big! Your home will be as smart as you make it, but as you begin to make adjustments start with small, incremental steps. Your home is not going to transform into a self-cleaning, self-regulating machine overnight. This transformation will take time. Start with what's most important for you. Do you want to focus on entertaining guests? Setting up a great surround sound system throughout your house can help. Do you simply want to stop wandering through your house every night turning off lights or locking doors before bed? Create a timing system to do it for you. Want to make your home more energy efficient? Snag a smart thermostat to help you cut down on your heating and cooling bills. In our opinion, the easiest way to begin creating your smart home is to install a smart thermostat and get your lights connected to a timer. From there, you can move on to more complex interactions like security systems, water management systems, and integrated appliances or entertainment systems. Most of these tools will require internet usage, so priority number one: make sure that you have ample internet capabilities in all areas of your home. Get good wireless coverage all over the house and you should be just fine. You don't need to be a network engineer but you may need to install new hardware to insure your house doesn't have any dead or weak spots. Lighting is one of the most common starting points for novice smart home enthusiasts. There are products available that can do impressive things with very little setup. The simple addition of "smart" light bulbs is an easy way to get started. Some smart-bulbs react to natural lighting and time of day to dim the lights once the sun comes up, keeping your home at the perfect level of brightness around the clock. You can also install systems that allow you to control the intensity of light from your smartphone, allowing you to create the perfect atmosphere without ever having to get up and go to the light switch. This also works if you forget to turn off the lights as you rush out of your house. These apps also include timer functions, so if you settle into a schedule and need your lights on when you get home with arms full of groceries every Monday night, setting it up is simple and quick. Decreasing your water usage is incredibly easy with today's technology. Simple, acorn sized devices can be placed at the bottom of a bathtub to help track the amount of time you usually use for a shower and notify you by flashing red when your shower "should" be coming to an end. Whether or not you decide to heed its suggestion is up to you, but this is a great tool to help keep us conscious of our daily water usage. These devices are cheap and easy to install. For those worried about possible water leakage or flooding, humidity detectors can be added in the walls and under the carpet that will alert homeowners when a potential leak is detected, allowing you to catch the potential problem before it begins. This can save your belongings, money, and the hassle of cleaning and re-mediating your home after one of these disasters. While these additions to your home are a little more complex than just screwing in a light bulb, they don't require much home improvement expertise to implement correctly. Installing these can save you money and make your life easier in a variety of ways. Updating appliances is probably one of the easiest ways to improve your smart home. Touch screen refrigerators, pan sensing stovetops, energy efficient washer and dryers, and phone controlled thermostats are just a few of the products for you to choose from. Your oven can even contact you via text message when it suspects you've exited your home and left it unattended! Then, you can turn off or delay your oven from miles away if need be. Since these devices require a more robust, integrated setup than many of the ones mentioned above, this is a good point to stop yourself and ask how far you want to go. Feeling adventurous? Read on! One of the greatest aspects of having a smart home is the interconnected experience it provides. Most appliances and installations can be controlled with a smartphone or computer, but you can increase this user-friendly experience by adding smart home compatible televisions. These TV's can help monitor surveillance cameras from around the room and interrupt your favorite TV show to tell you the pizza in the oven is finished. This probably won't be your first step in building a smart home, but it definitely increases the usability of your new toys. Another popular trend is the addition of security systems that allow users to survey, monitor, and track activity in and around their home from their mobile device. These systems usually include the installations of cameras, door sensors, motion detectors, and new locks. Not only do these systems allow users to lock their home up tight at night, users can view foot traffic and receive mobile updates while they are away. A great way to start making your home more secure is by adding new lock systems to the entrances of your home. These locks could also have the capability of sending picture messages to the homeowner's smartphone every time someone uses the door. Now, for an extra little tidbit: homes themselves are becoming increasingly more intelligent, and now so are our cleaning supplies! With self-directed vacuum cleaners and lawn mowers, our homes are becoming even more self-sufficient. The Jetsons put the idea of cleaning robots into our heads, and that dream has now become reality. Chores and home maintenance have never been easier. The last step is getting your family set up. Families are capable of linking each of their phones to their new smart home. Simply sync up your phones to each of these devices and your spouse, children, and grandmother will be unlocking doors remotely, changing the lighting from the comfort of their bed, and living a more energy efficient and cost effective lifestyle. Sound like havoc? Of course, you can always limit controls and access. Combining all of these elements together takes a lot of time, but the results are worth it. Once you've experienced controlling all of the functions of your home with a smartphone, you'll never want to go back to the way things were. Remember, start small! Replace some lights and grab some cheap water rationing devices before you go all out with a smartphone controlled oven and a robot cleaning service. Smart home technology is more affordable than ever, and there are a number of different points of entry depending on how involved you want to get. The biggest thing to remember is to enjoy yourself! Smart homes are supposed to make your life easier and more enjoyable, so get out there and start the process!